Want to get in touch? Send us an email here and we’ll do our best to help answer your questions or inquiry. We welcome donations of furniture, food, clothes and other household items. For your convenience we offer two pharmacy locations where your medication can be picked up right after your session. 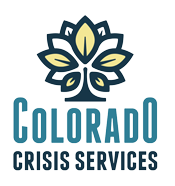 We are committed to ensuring that every person we serve has the best experience possible and our Quality Facilitator & Advocate is available for any questions or concerns you may have. Send us an email and we’ll do our best to help answer your questions or inquiry.